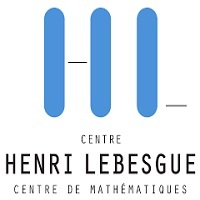 Scholarship Description: The Lebesgue Center and its partners are now accepting applications for postdoctoral positions in mathematics for a period of 24 months. International students are eligible to apply for this position. About University: The Lebesgue Center was officially inaugurated by the Presidents of the Universities of Rennes 1 and Nantes and the Director of the École Normale Supérieure de Rennes. Degree Level: Positions are available to pursue Postdoctoral programe. Available Subject: Positions are awarded in the Mathematics. The position is open to all research areas present within the four Institutes. It does not include an obligation to teach. Scholarship Benefits: The net salary will be 2 100 Euros per month. Candidates must have completed a PhD in mathematics, or equivalent, at the date of taking office. The candidate must submit an original research project including collaboration with one or more local researcher (s) of Irmar, LMJL, LMBA, or LAREMA. Eligible Nationalities: International students are eligible to apply for this position. Deadline: Sending application: between October 4, 2017, and December 1, 2017.